1) Nintendo 3DS - Perfect for anyone who loves gaming on the go. With the variety of new and old classic games out on this portable player, this would make an excellent gift for the gamer in your life. If they already have it, you may want to go for the 3DS XL or buy them the new Super Smash Brothers game! The colors these come in this are also awesome--if I could have another one, I'd definitely go for this purple one. 2) Fisheye lens attachment - These have been popular and perfect for those who do everything on their phone, including taking pictures and videos. This small attachment will work on most smart phones and gives your pictures a new perspective. 3) Bose QuietComfort Headphones - A bit on the pricey side, but perfect for the person who uses a desktop or laptop for everything. Whether it be for gaming, editing videos, watching TV or what not, a good pair of headphones that cancel out noise will be perfect for really focus in and not be disturbed by outside noise. 4) Sony DSC-RX100 M III Cybershot Digital Still Camera - Probably the nicest of the point and shoot cameras out there. The best part? Not only does the screen flip up so you can see yourself when you're taking selfies >.< but there's also wifi capabilities. Perfect for travel and daily use and if you know the person wants to start shooting their own videos. 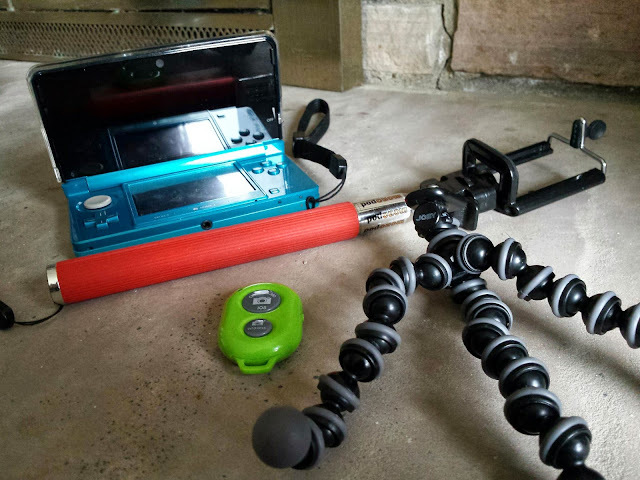 5) Joby GripTight GorillaPod Stand - This is probably one of my favorite discoveries this year, mainly for its aesthetics. Not only is this tripod extremely portable, it can also grip onto any odd surfaces such as poles, tree branches, and almost anything you can make fit to it. You can slip your smartphone right into the grip for photo taking, or, screw your own smaller digital camera right on top. 6) Portable Chargers - For the person always on their phones/tablets and are worried about battery life, these come in handy to keep your phone from dying! There a bunch of brands that makes these and they come in all sorts of shapes, sizes, and colors. 7) Microsoft Surface Pro 3 - This tablet or any tablet would be perfect for the person always on-the-go who might not want to carry such a big laptop. This option is great for students and business people who need access to their e-mail, documents, and even taking notes directly on them. 8) Selfie Stick and Bluetooth Wireless Remote - Ahh, the infamous selfie stick. This is another favorite of mines this year. Yes it may seem silly, but for those times you wanted to take a group picture but no one was around to help you out, this will be your best friend. Plus, having the wireless Bluetooth activated remote can make taking the picture less awkward since you don't need you finger to be up by the screen or have it on timer! I hope some of you received some inspiration for any presents you may be buying. Techi items tend to be more on the pricey side, however, there are a few smaller cool gadgets at friendly prices that you can op for as well! Readers, what are some of your favorite technological items this year? Is there any gadget in particular you'd love to receive this Christmas? Let me know!